Buyers in Colorado may be surprised to discover that lenders will require Flood Insurance for some parts of our land-locked state, based on FEMA flood maps. If Buyers are not aware of this requirement upfront, it can cause major closing delays, and even cost them the deal. 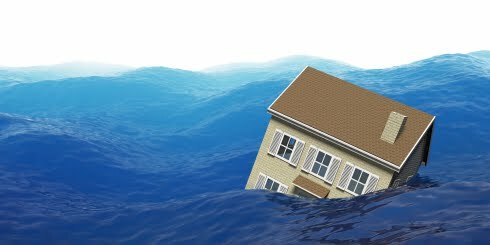 Flood insurance rates are regulated through a government program, but can be quite expensive depending on the flood zone of the property. We know some insurance companies who offer private policies that can help make this insurance more affordable. In addition,we just assisted a Buyer with the process of having a property removed from FEMA's flood plain! That's right - by having a specific type of survey done and using a surveyor who had some knowledge of FEMA's process, we were able to remove the lender's requirement for flood insurance altogether. Don't drown in your Flood Insurance woes! We can help! Contact us for more information. If you are on the hunt for an REO or Foreclosure in Denver, you have probably seen the terms 'Homepath' or 'Homepath Financing' as you browse property descriptions. Like many others, you may find yourself confused by all the foreclosure jargon... wondering what all these terms mean. Homepath.com is Fannie Mae's public website - which gives Buyers the ability to search for homes using their own unique criteria... similar to how Buyers use other real estate websites like Zillow and Trulia. Visit Fannie Mae's Homepath website by clicking on 'FannieMae' below. The Homepath website will only list those REO homes which are Fannie Mae affiliated, so it is not (by any means) an exhaustive list of foreclosures, but it can be a great source for finding opportunities, and an easy place to start. If you are searching for foreclosures - we can help! Contact us to receive customized email searches including the newest foreclosure listings. Lots of Buyers in Denver are uncovering 'deals' that resulted from the housing down-turn. 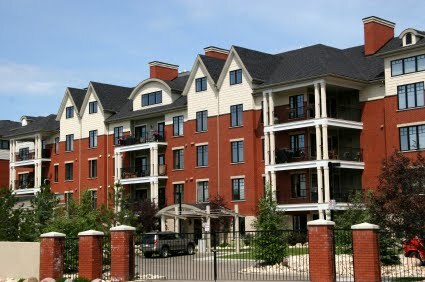 For many, they are considering new types of investment opportunities - particularly condos. If you find yourself considering a condo as an investment - read this first! Condos can make a wonderful investment, but there is research that must be done to ensure that you avoid some common pit-falls. Every condo community has a unique story to tell, and each Homeowners Association (or HOA) should be thoroughly investigated. Take a look through our 'Top 5 Things to Research When Buying a Condo' list below. 1. Is The Complex FHA Approved? Even if you are not an FHA buyer - this is something to consider. FHA loans allow a very small percentage down-payment, and for many lower price point buyers, FHA loans are their only option. If your complex is not FHA approved, you may limit the pool of Buyers who could consider your property when you go to sell it. 2. What Is The Ratio of Owner-Occupied Units vs. Rentals? This statistic is something a simple phone call to the HOA office can reveal. Not only will it have an impact on the FHA approval of the complex, it will also give you an idea of how many rental units exist in the building. Banks consider non-owner occupied units to be 'higher risk'. 3. What Do The Financials of the HOA Look Like? A homeowners association should have Financial Statements as well as 'Meeting Minutes' from recent HOA meetings available upon request. Take the time to review these in detail! The HOA should have a good amount of cash in their 'reserves' account, to manage any building wide maintenance issues or unexpected expenses that should arise in the future. A lack of 'reserves' may result in unexpected 'Special Assessments' that owners will end up having to pay (on TOP of any monthly or quarterly HOA fee). Make sure that the the reserves are in line with the size of the complex, and that the financial statements are readily available. 4. What Is The Delinquency Rate For The Complex? The delinquency rate will tell you what percentage of units are behind in paying their HOA fees. This may give you insight into the financial health of the HOA and consequently, the financial health of the owners in the complex. Nothing is worse than having your property depreciate in value because of an overwhelming number of foreclosures or distressed properties in the complex! 5. Is There Any Pending Litigation Which Involves The Complex? Google is your friend. Google the name of the complex... you never know what you'll find! As gross as this may sound, you'd be surprised to read some of the reviews of big condo buildings. Some property management companies are very responsive to this type of problem, and some do nothing... make sure there isn't a reported infestation in the building you are considering! DENVER LEAFDROP TO THE RESCUE! Denver Recycles’ LeafDrop program will once again provide Denver residents with the opportunity to recycle their leaves this fall. This year’s program adds a Saturday-only drop site and an additional Sunday drop site in southeast Denver. LeafDrop is an environmentally responsible way to dispose of leaves. Leaves should never be swept into the street because they can clog storm sewers and hamper street sweeping efforts. Keeping leaves out of the trash also reduces the amount of waste in the landfill and “overflow trash” in the fall. All the leaves collected at the drop sites will be composted over the winter and available for purchase at a deep discount in the spring at the Denver Recycles’ annual Treecycle Mulch Giveaway and LeafDrop Compost Sale. Last year 320 tons of leaves were collected and composted! Leaves may be brought to the drop-off sites in plastic bags, or even better, in brown paper yard debris bags. Unlike plastic bags, brown paper bags can be composted with your leaves. Many hardware and home improvement stores sell paper yard debris bags. Leaves dropped off on weekdays must be bagged. On Saturdays and Sundays, leaves can be brought in reusable containers or tarps that we will empty and give back to you. Bagged leaves are also accepted on weekends. It’s important to make sure leaves do not contain branches, trash or other materials. Oct. 30, Nov. 6 and Nov. 13, Noon to 4 PM at the Denver Solid Waste Transfer Station located at 7301 E. Jewell Avenue (near Quebec St. & Cherry Creek Drive South). Denver Solid Waste Transfer Station (SE Denver) – 7301 E. Jewell Ave.
Sloan’s Lake Park (NW Denver) – 17th Ave. & Sheridan Blvd. JFK High School (SW Denver) – Newland St. & Brown Pl. Cranmer Park (East Denver) – 3rd Ave. & Clermont St.
Smiley Middle School (NE Denver) – 26th Ave. & Holly St.
South High School (SE Denver) – Louisiana Ave. & Franklin St. WEEKDAY DROP-OFF: Monday through Friday from Oct. 4 to Dec. 3, 7:00 AM to 2:30 PM, bagged leaves only may be brought to either the Havana Nursery (10450 Smith Rd.) or the Denver Solid Waste Transfer Station (7301 E. Jewell Ave.). Be The Denver Difference! Organize a LeafDrop clean up this fall with your neighbors and work together to gather all the leaves on your block! Working together means more efficient raking and fewer trips to the drop off locations. It’s also an opportunity to help neighbors who can’t do it themselves.